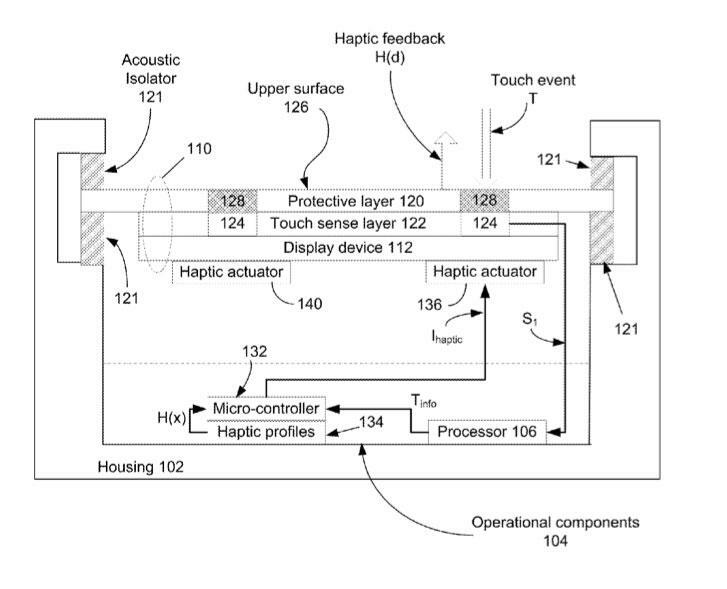 The details of a haptic feedback system are detailed in a new patent application filed by Apple, and revealed this week by the U.S. Patent and Trademark Office. Entitled "Multi Touch with Multi Haptics," it describes a system that would detect multi-touch gestures, and provide "an appropriate multi-haptic response." "Research has shown that providing the multi-touch surface with the ability to provide physical (haptic) feedback makes the multi-touch experience even more efficient and realistic to the user," the application reads. "For example, physical keyboards provide a physical indication (a bump, for example) indicative of the home key. This physical sensation can not be provided by a conventional multi-touch system thereby forcing the user to visually locate the home key thereby making keyboard use less efficient and fatiguing." Apple's invention would provide at least two distinct tactile feedback points based on a user touching multiple points on a multi-touch surface. 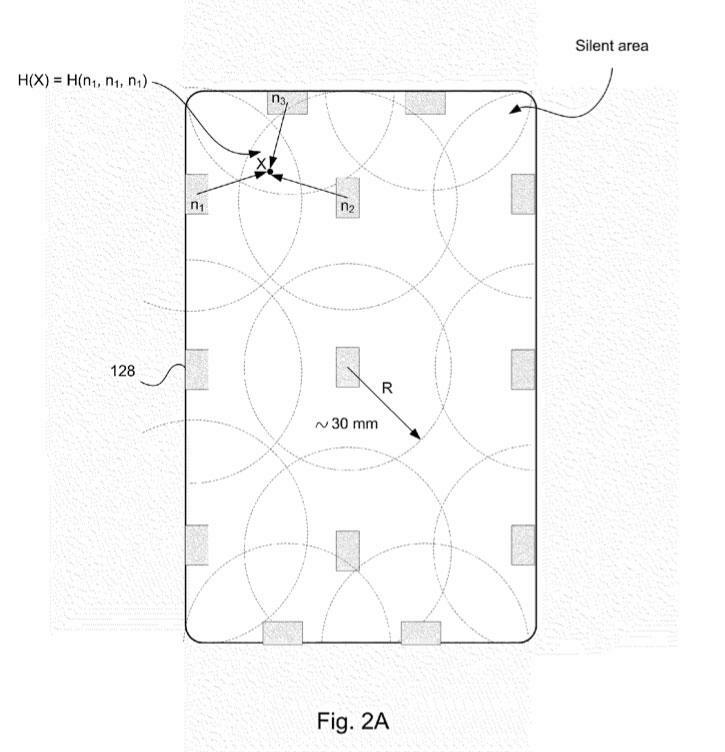 The application also describes a surface that would be able to detect the amount of pressure applied to the surface by the user, and would provide haptic feedback according to that pressure. This would all be made possible through the use of haptic actuators located under the touch-sensitive screen, allowing users to feel sensations on their fingers on specific portions of the display. An iPhone or iPad could be divided into separate zones, and the display would feature a number of zones that would each have their own unique haptic feedback. 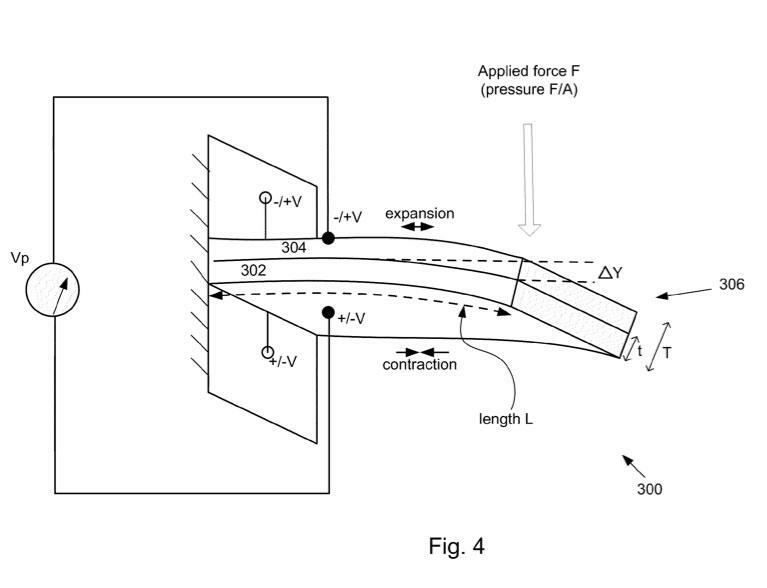 The system would allow users to essentially feel the screen as they manipulate objects on it. One example included in the application has a user pinching to zoom in on a map of California. The haptic feedback would follow their fingers as they pulled apart on the device. In this example, the haptic feedback would be less when the fingers are closer together, and greater as the fingers move apart. The haptic feedback could also be used to let users know when a certain boundary is being approached. For example, the feedback could become greater if a user is zoomed in as far as they can go, letting the user know that they can not zoom in any farther. The application notes that the zoom gesture method could be particularly beneficial in publishing, photo and drawing programs. It also describes a virtual scroll wheel, which users could rotate by using two fingers. Users could invoke a scroll wheel with a two-finger gesture, and while rotating the wheel, at least two haptic actuators would provide the sensation of a "click" to each of the two fingers. The application was filed for on April 6, 2009. It is credited to Bobby Burrough and Benjamin J. Pope.